Full-Time One-Year Diploma. Next intake September 23rd, 2019. The Motion Picture Production Program is designed for students wanting to become fully qualified independent filmmakers, or are looking to launch a rewarding career in the film and television industry. The Motion Picture Production program will guide students through every step of the creative process, from that first spark of an idea through to distribution of the finished project. In addition to helping students hone their creative talents, the program also gives students an in-depth understanding of the business side of the industry, teaching them about legal clearances, funding sources, tax credits, budgeting, and how to successfully navigate through the legal entanglements of contracts, agreements, and financing to maintain ownership of their intellectual property. Through a series of lectures, workshops, exercises, and student projects, students will gain invaluable experience in scriptwriting, cinematography, directing, editing, sound recording, set decoration, lighting and special effects, as well as learn about film theory and the subtle nuances of visual storytelling. Students complete several projects throughout the program, including a commercial, public service announcement, short documentary, and a number of short films, creating a body of work that can be used as a 'calling card' for future endeavours. Each student has the opportunity to write and direct their own final projects, and to experience a variety of on-set crew roles while working with other students and faculty mentors. Upon completion, students will be knowledgeable and skilled filmmakers ready to share their creative visions and talents with the world. Upon graduation students will be able to apply for entry level positions in film and television industry, create their own independent film or start a small production company. course I am capable of completing a project from concept to release." "PDA was extremely beneficial in networking with many people in the local film industry. That in itself will allow my future to continue." "Great school, great program! 10/10 would get educated again." Students learn the role of the Producer, Assistant Director and Production Management. While the MPP projects are developed throughout all the classes, the Production Class is where the logistics, problem solving, and filming takes place. As Producers, the students are responsible for acquiring all the rights and releases for their projects, as well as creating budgets and scheduling their shoots. Includes Commercial and Documentary production. The Cinematography class is designed to realize how best to achieve the look of your film, as well as the most important principles in Camera Functions and Lighting. The course explores various applications of lighting in different shooting scenarios. Students learn about Principles of exposure, Shutter Speed, Aperture, Lenses / Filters, Depth of Field, Focus, Lighting, Camera Angle, Composition and Framing. The Business of Film class focuses on maintaining chain of title and looks at production insurance, filming permits, Errors and Omissions Insurance, tax credits, co-productions, funding, and marketing independent films. Throughout this course students will focus on the role of the editor and the use of editing within creative storytelling. Examination of contemporary editing styles paired with a technical approach to Final Cut Pro and Adobe Premiere will facilitate hands-on learning from the rough-cut stage to the finished product. Students will acquire the tools and techniques needed to edit video, audio and visual effects in High Definition formats. The sound class focuses on the techniques of gathering location and studio sound. Students are taught the importance and interaction between sound and image. Students are given practical exercises in recording dialogue and building soundscapes during the post production process. Learn the basics of storytelling and screenplay writing, how to create your own stories and develop your writing to attract an audience. Students learn about character development, scene development, dramatic conflict, plot structure, dialogue, pacing and how best to address the complexities of the 3-act structure. All of this, to bring your story off the page and onto the screen. Through lecture and hands-on training, students learn to understand the grammar of film, how images work and how to plan and prepare for a film shoot of any size or imagination. Learn what directing is and how to do it, by shaping shot selection, shooting style, story points and actors’ performances to get the film you visualize onto the screen. Learn the basics to intermediate functions of Adobe Photoshop and After Effects. Students are given a series of exercises as well as 1 on 1 mentoring to help them create titles and basic effects such as muzzle flashes, blood splatters, compositing, green screen and more. Much of this class evolves around the students needs and skill set. Various Workshops are held throughout the year. These include: Film Industry Orientation Program with WHMIS, Traffic Control Training Course, field trips (when available) and visiting independent filmmakers. 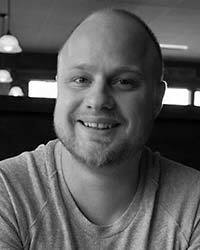 Peter earned a Communications degree, specializing in audience studies and broadcast media from Simon Fraser. He worked on: “Gene Roddenberry's Andromeda,” “The L Word,” “The Chris Isaak Show” and “All Gone Pete Tong.” He taught at the Vancouver Film School, and then moved to 20th Century Fox to acquire legal releases and product placement deals for “Dolittle 3.” He worked as VFX Coordinator for “Air Buddies”, then as a Project Supervisor for Technicolor Creative Services. 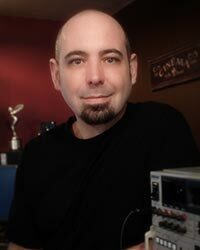 He headed the Post Production department for Parallax Film Productions Inc. where he worked on “Blowdown” and “Ancient Megastructures” for National Geographic and the History Channel. Raised in Victoria and trained at BCIT in Burnaby, Shaun has been a Videographer & Editor since 2006. His video career has ranged from music video productions to short films to video analysis with Rugby Canada. In addition to his interest in making films, he is also an admitted cinephile — plural noun: cinephiles — a person who is fond of motion pictures. Michael is a graduate of the “Video-Clerk-Turned-Professional-Screenwriter” School. Top placement in the Academy of Motion Picture Arts and Sciences (the Oscar folks) Nicholl Fellowship secured him literary representation and his first paid writing gig. Since then he has penned several produced features (including Johnny Tootall starring Adam Beach) and been optioned or commissioned to write over twenty more. Michael is also active in the film/writing community – having published in Script magazine and participated as an invited guest/lecturer in the Whistler Film Festival’s Master Class Series, Victoria’s CineVic Society and the Professional Writers Association of Canada. Before graduating from film school in 2000, Kal had won multiple awards for short films. In 2000 he became editor/director at ELM in Vancouver. There he produced over 100 commercial projects including the hit music video Ride by Syndicate, the most requested music video on PMC for six weeks straight. 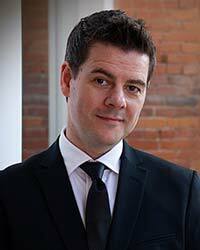 In 2005 he moved to Victoria specializing in rich media web design, digital special effects and motion graphics. In 2007 Kal became President of Pan Productions. He has produced and edited several award nominated television documentaries and has preformed technical and creative services on many of the documentaries and television series produced in Victoria. An award-winning Ojibway film, television & documentary editor. Darryl has worked for Nickelodeon, Insight Film Studios, Front Street Pictures, Voltage and has over sixty credited productions. He is a Producer, Director, Creator and Writer. ‘Amy’s Mythic Mornings’, an animated children’s series he created currently airs on APTN. CBC National has run his documentary ‘Dads’ for 4 years as a Fathers Day special. He won ‘Best Public Service Film in 2016’ for ‘Number 14’ a documentary he produced, featured at the American Indian Film Festival in San Francisco. 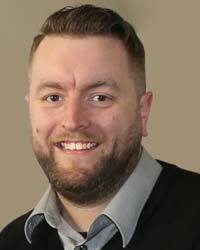 Darryl is a graduate of the BCIT and is on the Board of Directors for the ETC Society in Victoria B.C.